For travel lovers, it might be nice to help them pay homage to their favorite place. Since I love Chicago, that’s the theme of today, but many of these gifts are available for other cities and states as well. Let’s take a look! Chicago Bears travel scarf: I have one of these Waypoint Goods travel scarves and I absolutely love it. I hear the Bears aren’t really something to be proud of, but there are plenty of other colors to choose from too! This cozy infinity scarf features a pocket big enough for your phone, cash, and earbuds. Carrying a purse has become such a burden, so I’ve pared down my everyday carry items to fit in this pocket, and I love it. Chicago Skyline print: Local printers and artists at Foursided have my heart. This skyline print is my favorite, but there are tons of other options if you prefer a map motif, something more mid-century inspired, or want to pay tribute to the long-suffering Cubs. CTA Stop Magnets: If you’re like me and live in everyday thankfulness for the vast CTA system, Transit Tees has the gifts for you! Tell your friends what line or stop is your favorite – Transit Tees makes magnets and pins for almost all of them. I got the boyfriend a Yellow line magnet as a housewarming present for the new house, so this is a great shop to keep in mind year-round! Chicago Homesick Candle: Homesick Candles have been around for awhile, but I still totally love them. The Chicago scent hearkens Fannie May chocolates and the breezes from Lake Michigan. The Illinois version of the candle carries more floral scents. Chicago Flashback: This book from the Tribune staff would be a great gift for a history buff. It not only showcases photos of our beautiful architecture, but also tells the stories of the builders and other notable Chicago residents. Chicago-opoly: This fun Chicago-themed Monopoly-style board game would be a hit for me. I love attending and hosting game nights, and Monopoly is best suited for a long weekend because as everyone knows, it’s a marathon game! This is a great gift idea for someone you don’t know well, because the odds of them not liking fun is… well, pretty low. Chicago-etched Whiskey Glass: I love these types of whiskey glasses. They’re well-made and the etched Chicago map makes it feel a little fancy. How is holiday shopping for you? Do you find it difficult, or are you like me, finishing before Thanksgiving even hits? 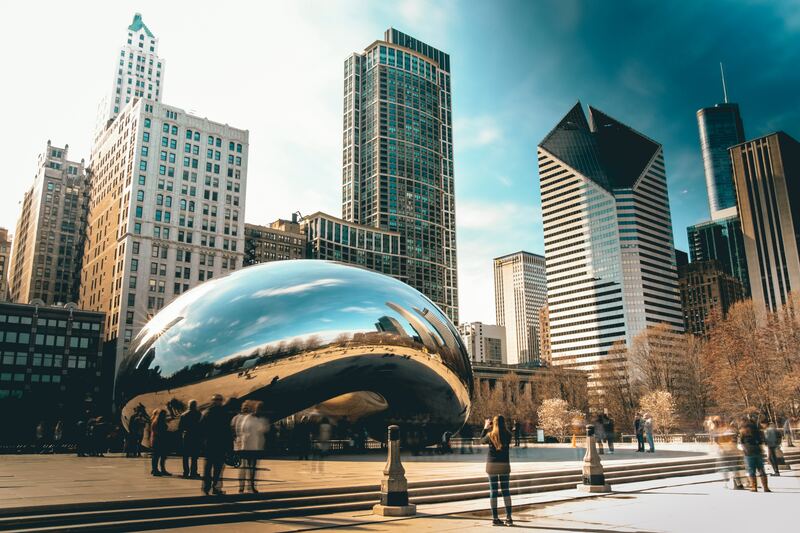 Chicago is a city that’s screaming to be explored by foot power – with tons of different gyms and unique classes to check out. There’s nothing I love more than taking a walk around any of our neighborhoods – there’s always a ton to see, and you’ll almost certainly stumble into a fun street festival or farmer’s market in the summer. 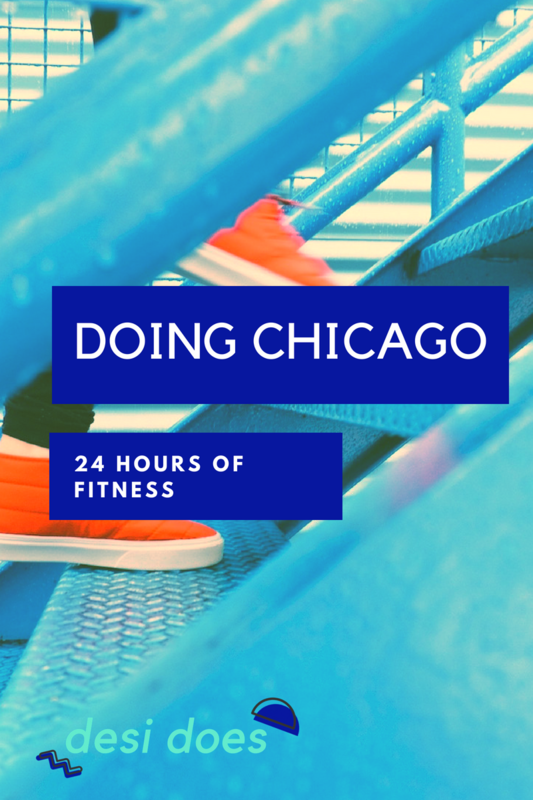 It’s one of the most fit-friendly places in America, so if you’re looking to see the city while you get fit, here’s a 24-hour guide to Chicago fitness to follow! 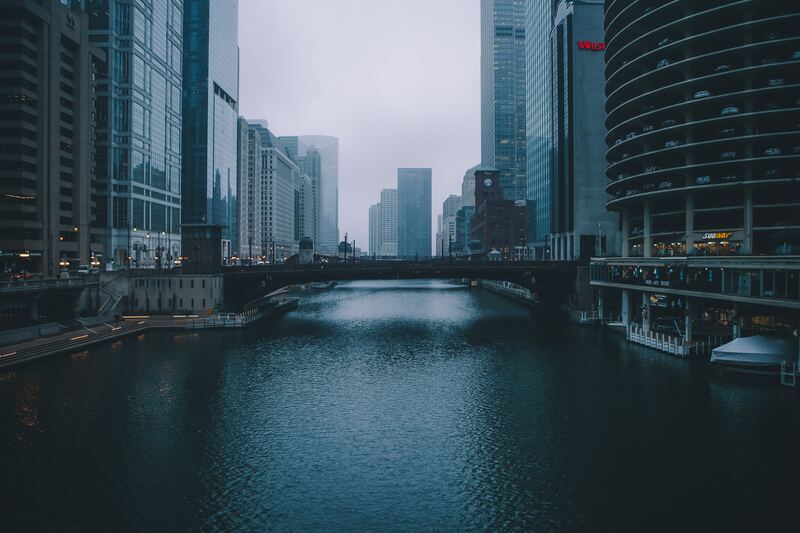 9:00 AM: Head out of your room at the Chicago Athletic Association for a run through Grant Park and along the lakeshore. The hotel was built in the 1800’s as a club for society men to shoot pool and work out, and it’s still decorated with a sporty spirit today. Head north on Lake Shore Drive past Buckingham Fountain, Cloud Gate (more commonly known as “the Bean”,) and follow the path up to Oak Street Beach. Part of the Rock ‘n Roll 10K I ran last summer went along the lakeshore and ended in the park, and it’s really beautiful and inspiring if you depend on scenery to distract yourself from running. Take some time to relax on the beach and cool off, then head out to refuel. 11:00 AM: Try Wicker Park for brunch – whether you’re looking for something healthy (try Native Foods Cafe) or sinful (Stan’s Donuts is a must-try,) there’s something to satisfy everyone in your group. Afterward, take a walk over to Cup & Spoon (2415 W North Ave.) to grab a glass of their Electric Lemonade – the activated charcoal in it will help out with any tummy trouble building up. From there, it’s a short walk to the Divvy station at Western & Winnebago. 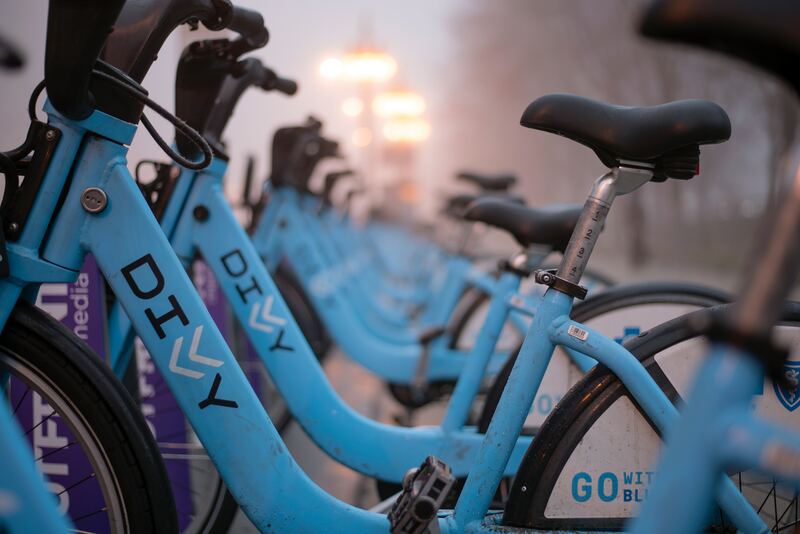 Divvy bikes let you rent for a few hours or a whole day, so check one out and take a spin on the 606 trail. A former el line, it was recently renovated into a gorgeous 2.7-mile trail that’s bike- and run-friendly. Markers line the trail with Chicago history and landmarks, so you can learn as you lean! 1:00 PM: Head back downtown on your bike and grab another quick bite to keep your energy levels up. I’m a really big fan of Sweetgreen (huge, fresh salads) and The Protein Bar for great juices and wraps. 5:00 PM: Green Zebra is the perfect dinner for your fit day. A vegetarian restaurant specializing in small plates, their menu is creative and changes seasonally. The tasting menu is a nice way to make the meal special! 7:00 PM: Finish up your day of fitness with a fun dance class. Stiletto Dance Studio offers classes in bootcamp and yoga, but if it’s a girls trip: head there for the Pole Dancing classes and get your groove on. (Or if you’re still feeling up to it, try stand-up-paddle in Lake Michigan with Chicago SUP. It’s beautiful at night.) 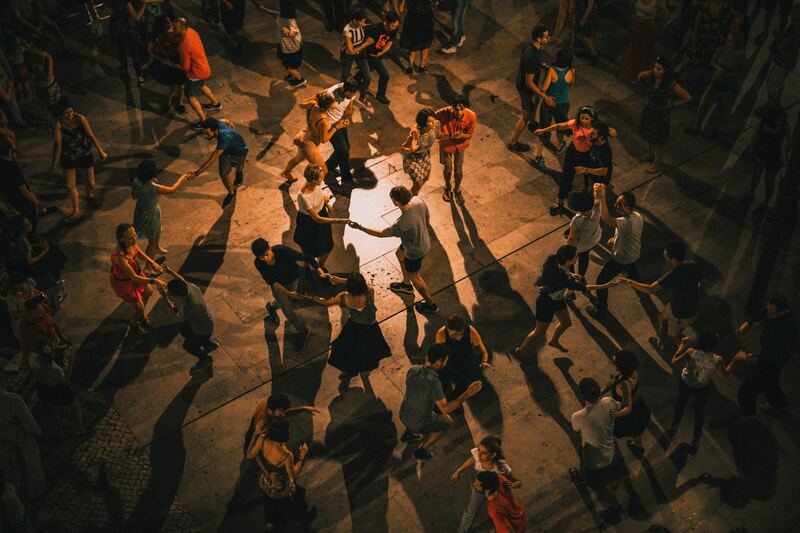 In the summer, there are often dance parties in city parks, like salsa, mambo, and bachata classes! 8:00 AM: Since you went to bed so early, you’re surely waking up and feeling great! Before heading out of town, grab some Dark Matter coffee and check out Flywheel. It’s similar to Soulcycle (but more accessible to newbies,) and they often have Chicago-centric classes. If you aren’t going to Pitchfork festival, you could at least go to the Pitchfork Flywheel class! Afterward, head to Lincoln Park’s Chicago Pizza and Oven Grinder Factory. You deserve it after all that work, and it’s a Chicago institution! What’s your favorite way to actively explore when traveling? Do you have a favorite Chicago workout spot? Chicago in the summer is the best place in the world. (I haven’t been everywhere, but I’ve been enough places to be pretty convinced.) One of the best things is our seemingly unlimited supply of free street festivals – there’s something going on every weekend, and even during the week. 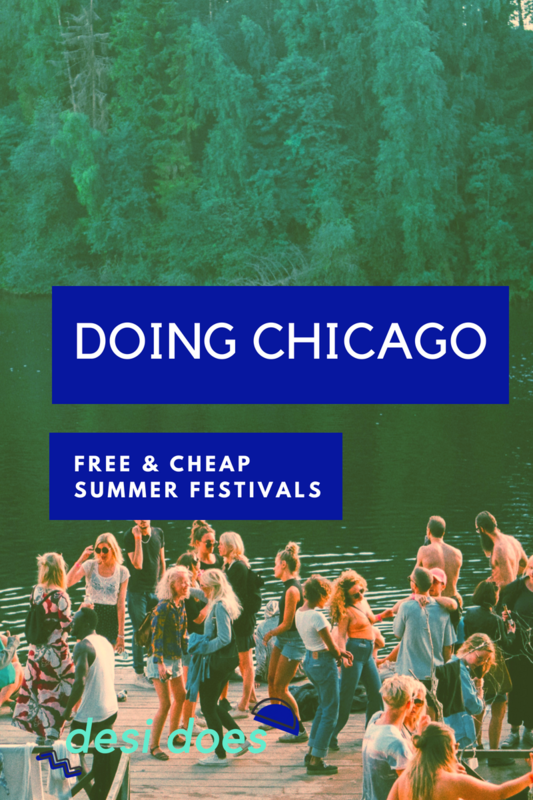 Music festivals are super popular and run all summer, from Do Division the first weekend in June through the end of October, so check out these cheap and free Chicago music festivals! Bookmark this post and come back all summer to find activities to check out! Navy Pier Beer Garden: The Miller Lite Beer Garden at the end of the Pier features performances almost every day of the week. Beer here is also super reasonably priced, and the gorgeous views of the city as the sun sets is totally worth the schlep out to the shore from whatever neighborhood you’re in. Check out their calendar for music events, plus other great free things to do while you’re in Chicago. Haymarket Brewery: On Thursdays, Haymarket Brewery has an Americana music series featuring a lot of my faves and friends from Nashville. This is actually a year-round series happening every week, so pop over for some great brews and tunes, even in the dead of winter! Grant Park Music Festival: Grant Park is home to the largest outdoor classical music festival, which is pretty cool. Events here feature the option to purchase tickets, otherwise, GA seating is always free on the back of the great lawn. Special guest conductors and performers and performances of classical greats is an excellent way to add some culture to your Chicago trip, without adding a big price tag. Do Division Fest: Do Division is sort of the symbolic start of summer for me. It’s the first weekend after Memorial Day on one of the coolest stretches of West Town. 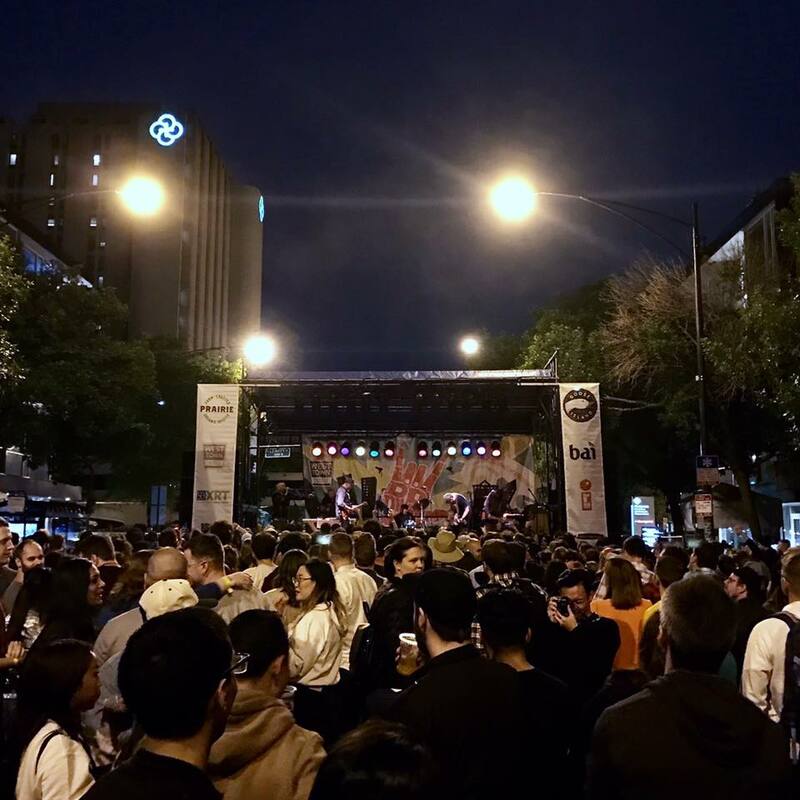 This year’s headliners include Ted Leo and the Pharmacists, Deerhoof, and Bear Vs. Shark – not bad for a free street fest! In addition to eight(ish) hours of music at two stages per day, there’s also a sidewalk sale with local artists and vendors, a family fun festival with activities for the kiddos, the shops on Division set up their sales outside, and restaurants expand their patio seating. Chicago Blues Festival: This free festival in Millennium Park is also June 8-10, so if you’d like to stay closer to downtown, stop in for a set here. 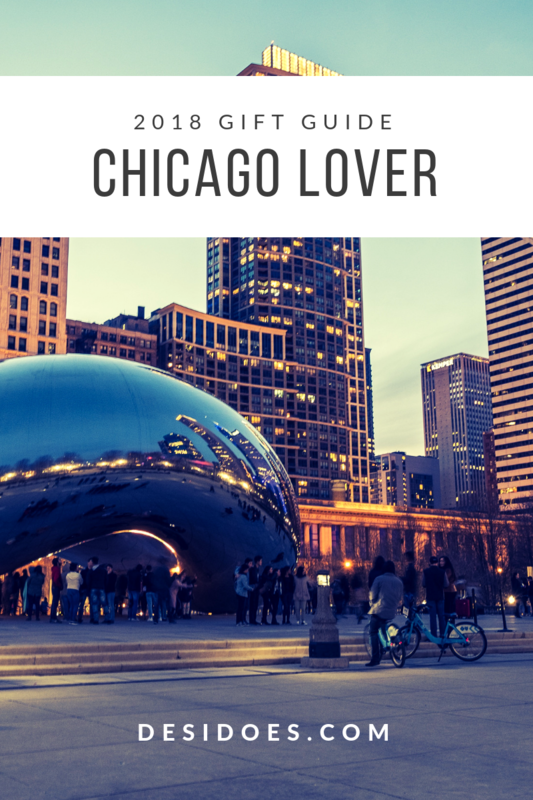 I love picnicking at Millennium Park, and there’s a Mariano’s nearby – pick up some snacks and a bottle of wine for a cheap, romantic date downtown. The incomparable Mavis Staples caps this year’s festival on Sunday night at the Pritzker! 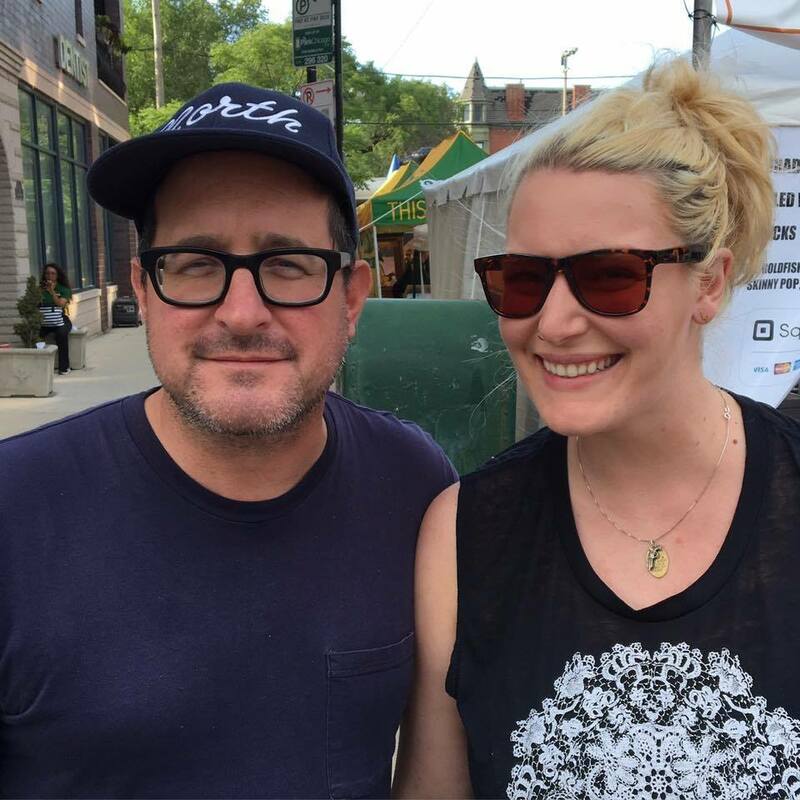 Taste of Randolph: Three stages in the West Loop along Restaurant Row? Sign me up, please! 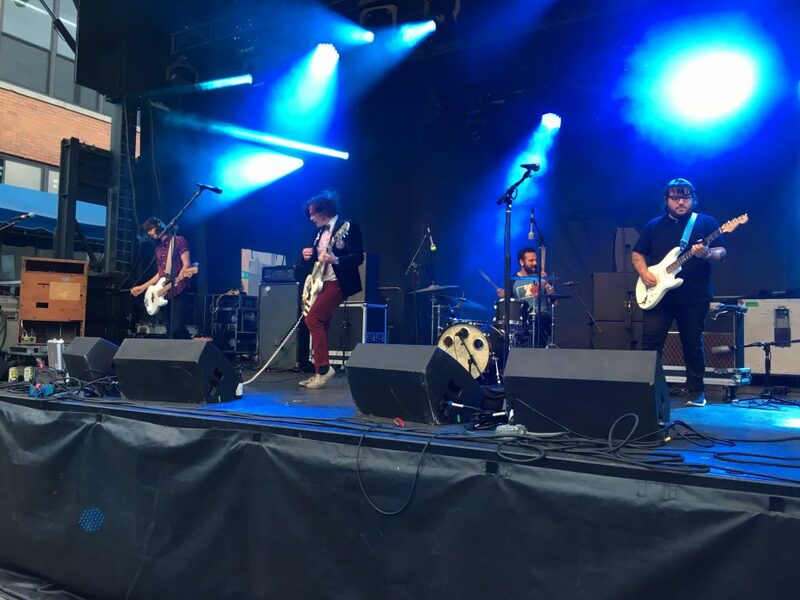 This festival is pretty long-running, and this year will take over Randolph Street from June 15-17. The lineup is insane – I can’t wait to see Mayer Hawthorne and the amazing MONAKR again – for a $10 entry donation. Taste of Randolph is definitely a can’t-miss event for your weekend in Chicago! Logan Square Arts Festival: This is a small music, arts, and family festival in Logan Square. One of my favorite bands, Priests, is playing this year, and I’m excited to pick up some enamel pins from local seller Jini & Tonic! 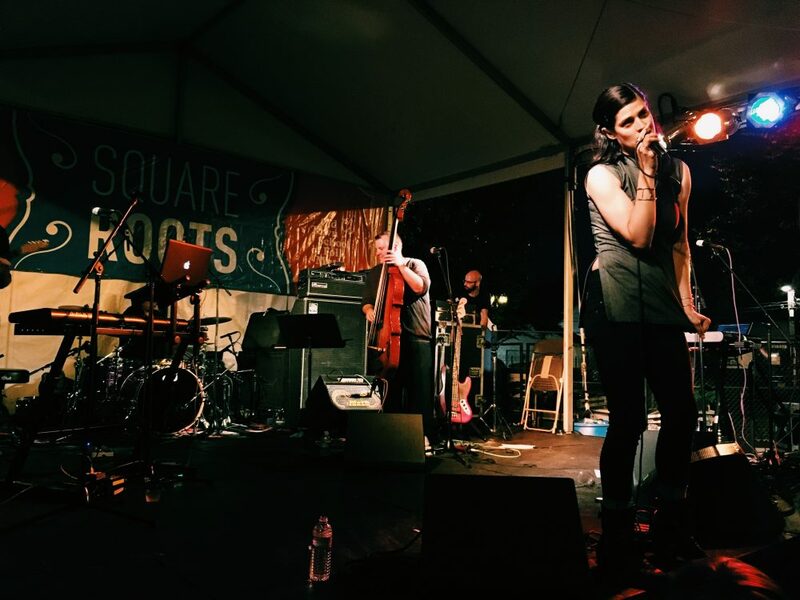 Square Roots Festival: This festival in Lincoln Square gets some pretty heavy hitters every year – the first year I went, it was my first solo Dessa show, and I was just delighted. (I heard her sound check start, thought I was running late to the show, and ran in on crutches… only to realize it hadn’t yet started.) This year Square Roots is from July 13-15, featuring Nashville favorite Pokey LaFarge and Chicago locals Get Up With the Get Downs among (many) others. A $10 donation gets you through the gates for the full weekend (and benefits the Old Town School of Folk Music), and like many other festivals, there are lots of vendors and family-friendly activities. I remember this festival as one of the best food spots – it felt like the food and beer options went on for miles! Wicker Park Fest: Wicker Park/Bucktown is still my favorite part of Chicago, and Wicker Park Fest is July 29 and 30 this year. It’s a $10 suggested donation for admission, but they shut down part of Milwaukee Ave., put up three stages for music, and fill the street with vendors and Goose Island beer. There’s also a kids festival here. Headliners should be announced in a few weeks, and after Doomtree and Guided By Voices last summer, I’m not sure how they can top it this year! 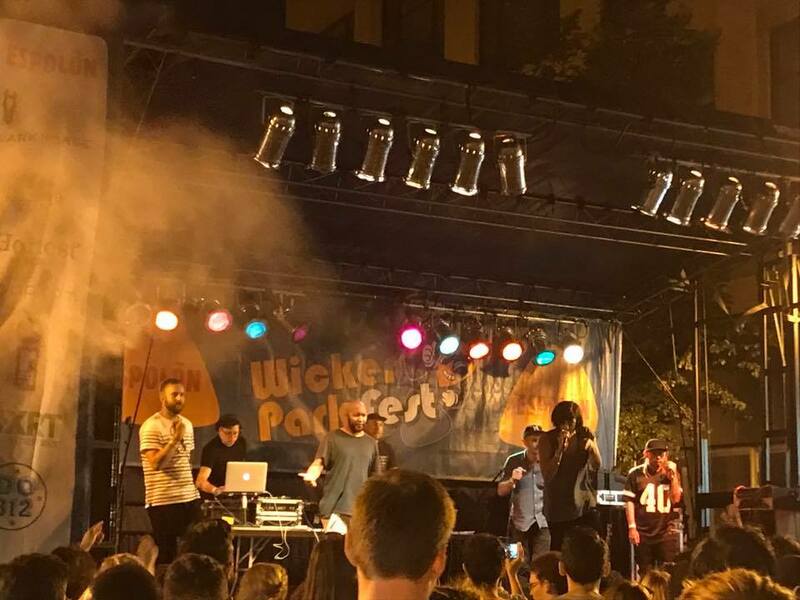 Big Evanston Block Party: I’m really excited for this first-year block party. SPACE in Evanston is one of my favorite venues here, and from August 25-26, they’re celebrating ten years of concerts. Two of my favorites are headliing – The Old 97’s and Guided by Voices – so I can’t wait! It’s a free festival with options to purchase VIP upgrades, but it looks like early registration is required, so grab your August 25 and August 26 tickets early. Chicago Jazz Festival: This festival is where I lost my keys last year, but I’ll try not to hold that against them. Sitting on the lawn here, sipping bottles of wine picked up at Mariano’s nearby, and watching the sun set over the city skyline is such a nice, relaxing way to say goodbye to summer. 312 Block Party: This Goose Island party represents the end of summer to me. 2018 dates haven’t been posted yet, but it’s typically the third weekend in September. Last year, Ted Leo and the Pharmacists headlined, and in 2016, Beach Slang was my favorite set. Word on the street is that this year, the Empty Bottle is bringing in the best lineup yet, and another bonus (besides the beers and excellent brews?) Grab Hot Doug’s from the food area here, which is a Chicago classic. Did I miss any other free Chicago music festivals? 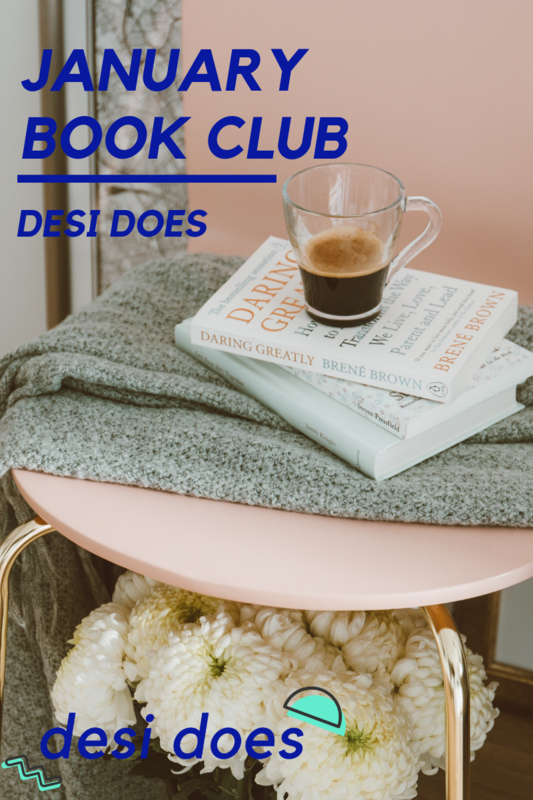 Let me know what your can’t-miss picks are! I received a free tour from Vimbly for this review, but all opinions are my own. Vimbly is the fastest way to book thousands of activities, classes & date ideas – their website displays available activities and times, and allows you to book tickets directly on the website. It’s easy to share a link with someone else to plan out an activity. There’s even a “Bucket List” feature that lets you bookmark things you might be interested in checking out later! 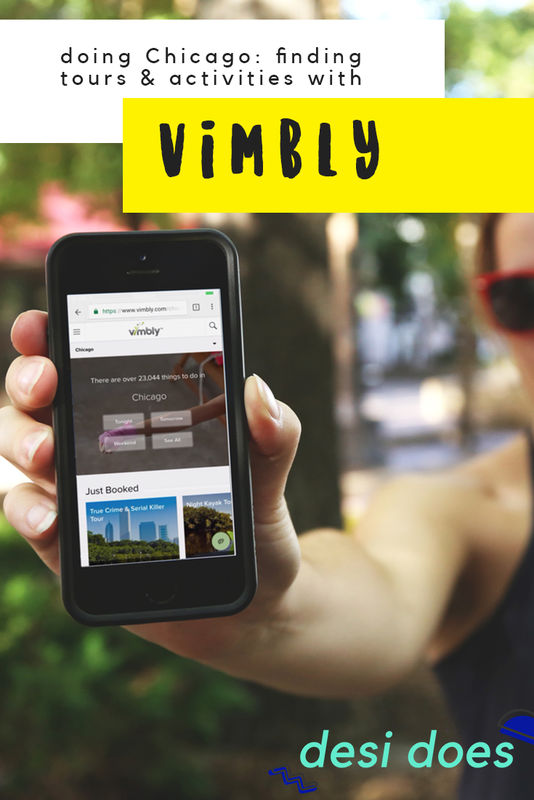 The coolest thing about Vimbly is that it’s sort of a one-stop-shop for tourists and residents alike. They have the traditional sightseeing tours, but they also have things like jiu jitsu and dance classes, pizza and dessert making lessons, and escape rooms. 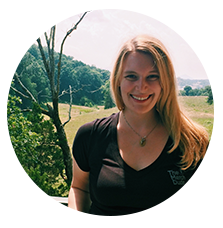 Vimbly also features free events – I’m heading to this brewery tour at Lake Effect Brewing Company with a girlfriend tomorrow, and I would never have thought to look out for that before! In case you do book something with Vimbly that you don’t love, their Handshake guarantee means that they’ll issue you a refund if you’re dissatisfied. How’s that for customer service? For this tour, Dani and I opted for the True Crime and Serial Killer tour. Given that we went on a haunted history tour in June, this should not be a surprise. This tour was even more fun. The scene was set as soon as we arrived – the bus was playing spooky music and the tour guide, Eric, leaned in as though I was giving him the password to get into a speakeasy. 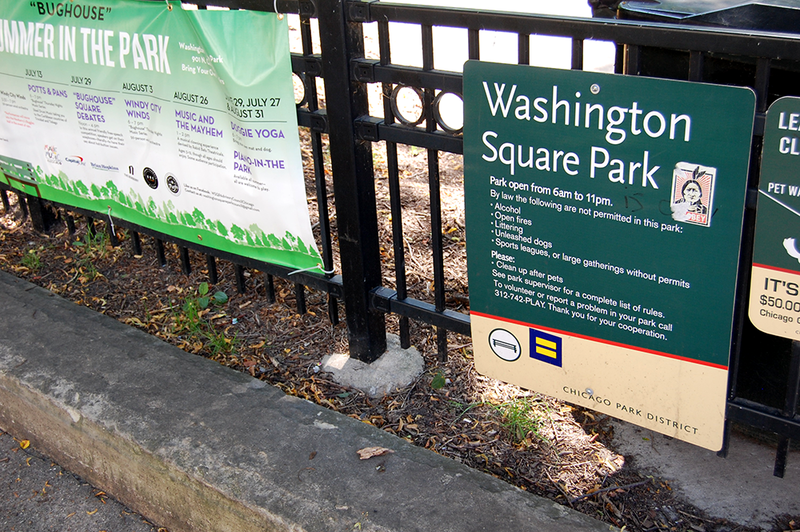 The first spot we went was Washington Square Park, which was one of John Wayne Gacy’s hunting grounds. Eric also told us that the park used to be called Bughouse Square because a psychiatric hospital used to be nearby, and they used to be called bughouses. Another really cool thing about booking tours in your own city with Vimbly is that you learn about other cool events in your city. At Washington Square Park, we saw flyers for the Newberry Book Festival. Neither of us had heard of it before and you can bet that we skipped on over to it a few weeks later. From there, he continued to talk about other Chicago serial killers as well as Gacy. He and Jeffrey Dahmer used to be regulars at L&L Tavern, which is a bar that Dani and I visited after seeing My Favorite Murder live for that reason. We started heading over to the Logan Square Office Max, which is an area I know pretty well. Eric told us about the Ripper Crew, which I’d never heard of. I definitely had no idea they happened in an area I’m so familiar with. From there we headed back toward Lincoln Park and drove past the site where the Sausage King of Chicago killed his wife before driving over to the Congress Hotel. 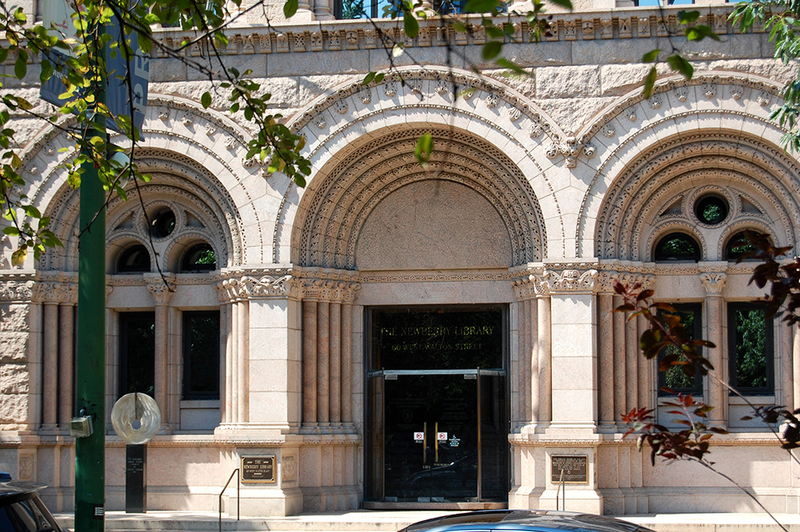 We’d been there on the first tour as well, so it’s definitely a known spot to visit if you’re a crime enthusiast in Chicago! 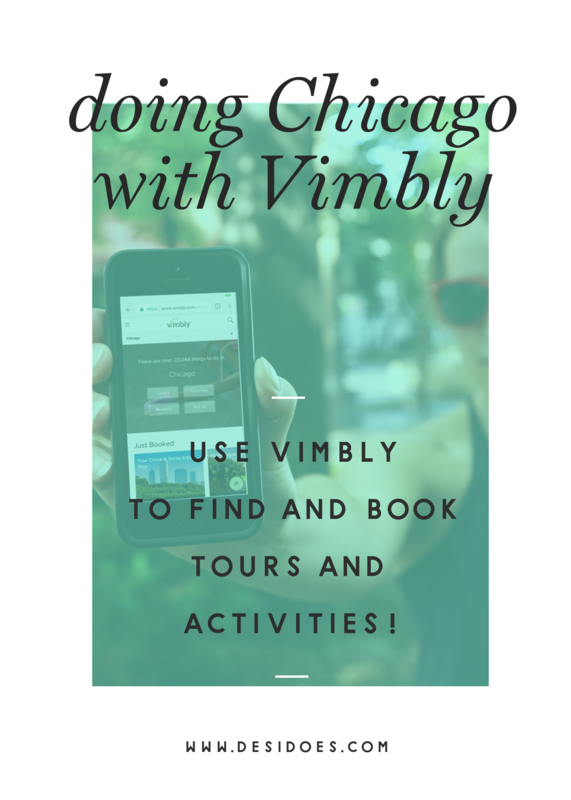 I definitely recommend using Vimbly in your own city, or for checking out things to do on your next vacation!